Vintage (circa 1920-1980) Japanese kimono, haori, hakama, and more options for men. 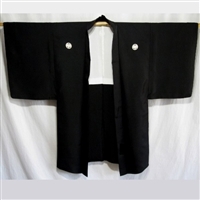 Formal, casual, underkimono (juban) and yukata kimono, as well as formal and semi-formal haori jackets. Authentic, sourced in Kyoto, Japan.